Pearls are Nature’s most alluring gift! No longer only for the twin-set brigade, they are the most versatile and generous gem in the Jewellery world, giving outstanding value for money. Prices range from modest to frankly outrageousm they are the perfect accessory for young and old. Add a designer element and you have a timeless and flattering accessory. 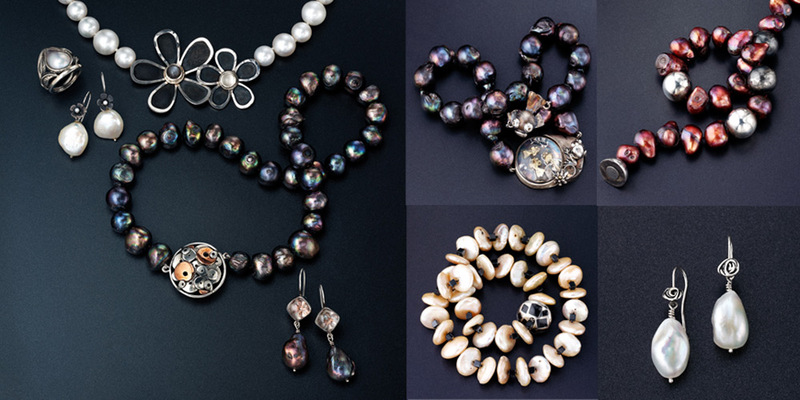 We carry a wide range of pearl necklaces and earrings – new designs are being designed and created by our artist/jewellers on a regular basis. Perhaps you have an old string of pearls that need a new look? Contact us to chat about how we can bring new life to your old precious pearls.